We go where our hunt for tasty pani puri takes us, and most recently, we found ourselves at Bhola Chaat Bhandaar and were pleasantly happy with what we were served. 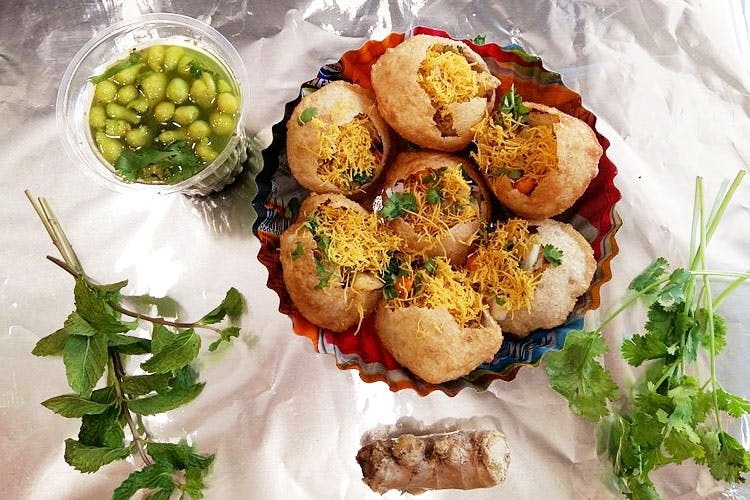 We obviously love chaat, and when asked to gulp down pani puris, we’re always up for the challenge. Bhola Chaat Bhandar at Saiwadi, Andheri East is a wonderful chaat corner that’s famous for the super tasty pani puris they make. They’re super particular about hygiene and use only mineral water to make their pani puris. The chaat is made to perfection with the perfect balance of flavours. The stall is super famous in the area, so it won’t be difficult to hunt it down. It’s located at the beginning of the highway and there’s plenty of parking space around too. Go here when it’s time for some delicious pani puri.